I’d wanted an electric guitar for a long time, and was searching here and there rather aimlessly. I’d wander into a store and grab instruments just to see how they felt in my hands. I didn’t need to plug them in… I knew that I was looking for a fit, a feel, something indefinable that would eventually reveal itself. Sadly, one day, it did. 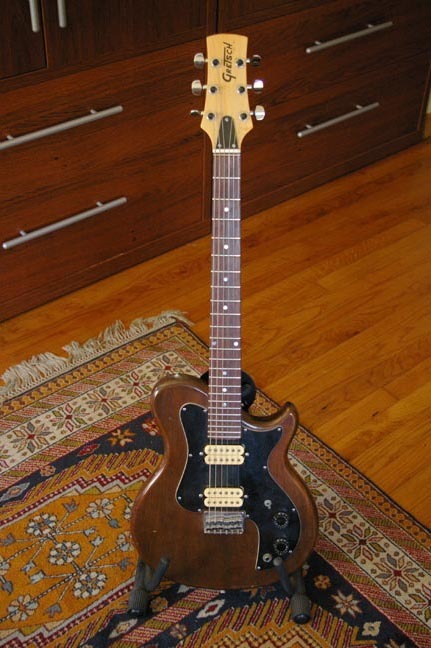 I had the misfortune of grabbing a beautiful Paul Reed Smith guitar from the wall and it was as though the choir invisible began to sing, and light spilled forth from the heavens…. that is, until I saw the price tag. I wasn’t looking to spend $2000 on a guitar… More like $500. Still, now that I had the idea of what I was looking for, I continued my search. A friend, Jack Waterson, whose claim to fame was his membership in Green on Red, was working at a music store on Melrose. I described what I was looking for and, after trying a number of guitars, found this one.